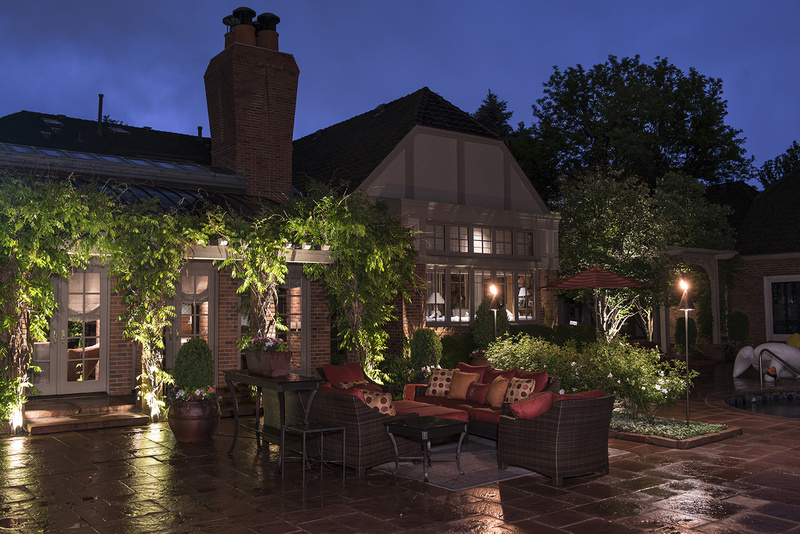  Warm accent lighting was used to illuminate the trees, patios and water features that make up the wonderful features of this inviting outdoor living space in the Denver Colorado area. 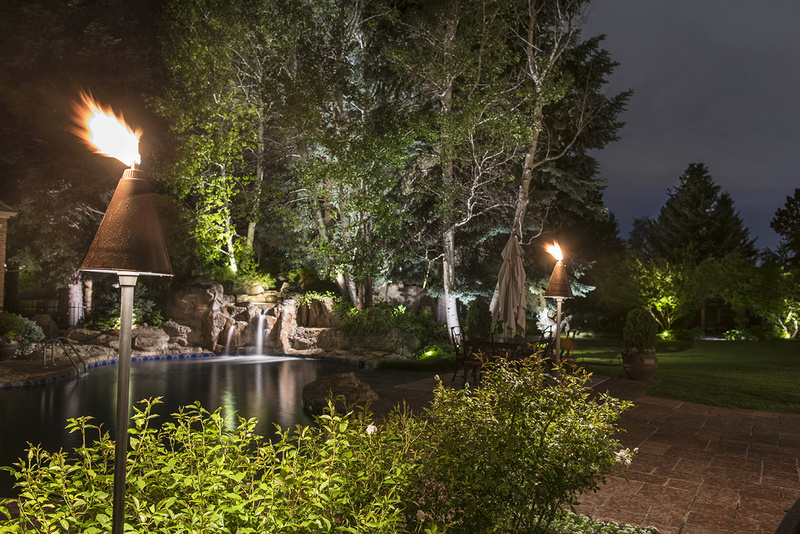 Large trees were up lit to put light into the upper canopies and create a beautiful backdrop for the natural looking waterfall that is the focal point of this pool and sitting area. 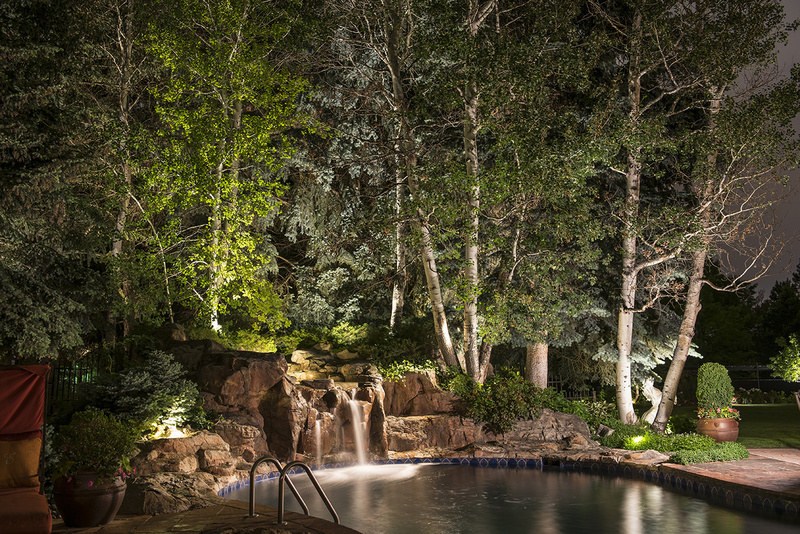 Small, discreet downlights were placed in select trees to gently illuminate the waterfalls as they drop into the pool below. 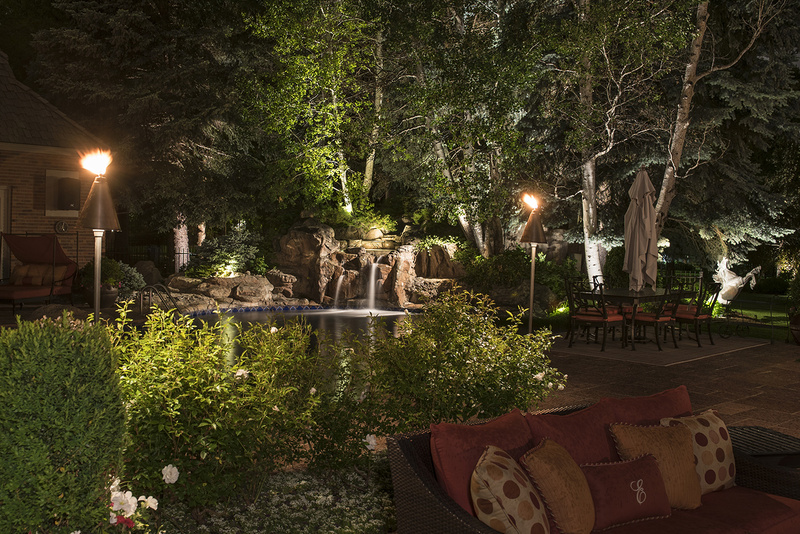 Combination tiki area lights were placed near sitting areas on the patio to add some visual drama with fire. 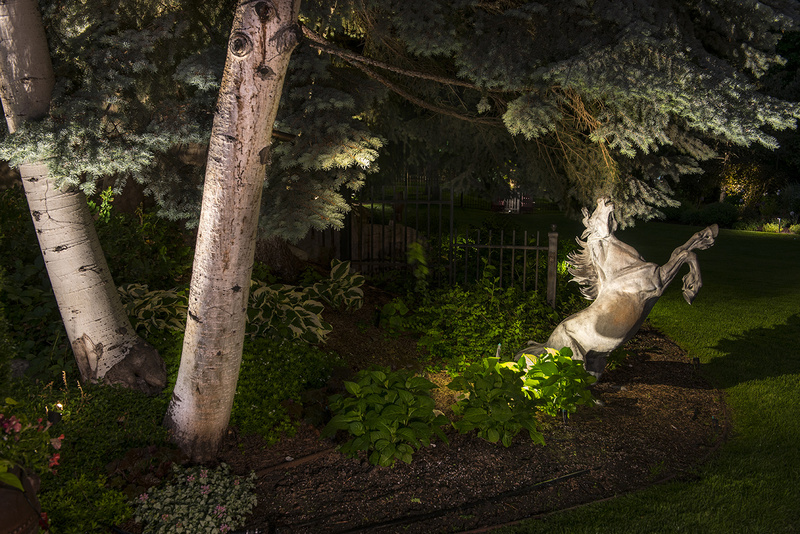 Our tikis can be filled with citronella to repel mosquitoes for up to 20 hours on a tank.